You may be doing everything you can to drive conversions and leads for your business, like search engine marketing, SEO, or Facebook advertising. You might be getting the traffic you want, but not the conversions or the leads you need to make the most of your marketing investment. 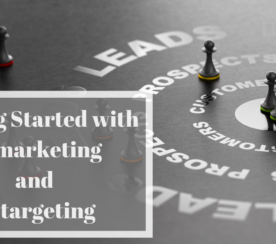 Using remarketing or retargeting to reach targeted audiences with ads when they’re online can help you improve the results of all your lead generation efforts. When your target prospects see your retargeted advertising, they’re more likely to engage with the ad and take action — like visiting your website — which can result in a latent conversion from your marketing. Studies have shown that site visitors who are retargeted with display ads are 70% more likely to return and convert on your website than visitors who aren’t retargeted. 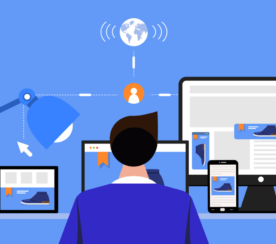 Here is an overview of how to use display remarketing campaigns across channels and audiences to get the best possible engagement and results. 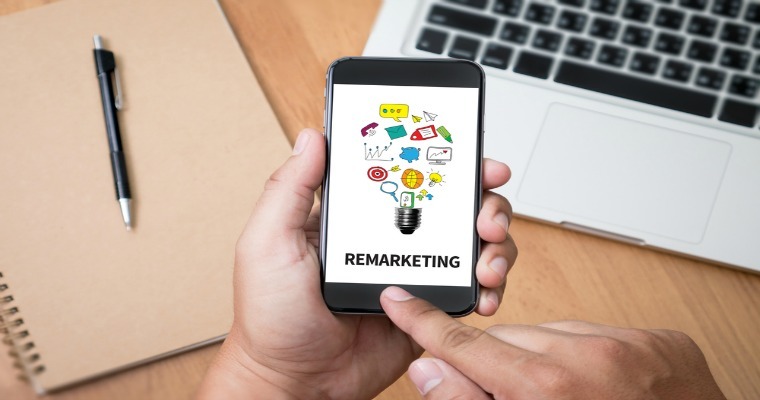 Generally, remarketing enables you to target the people you’ve already reached out to with your marketing efforts, but that may not have converted into a lead or a sale. But, in addition to the traditional scope of users who have already seen your advertising, there are a few ways you can use retargeting capabilities to reach new consumers who may be interested in or are near your business. The most common method for remarketing uses a cookie to target users who have visited your website. This gives you a solid base of prospects you know are already familiar with your business and likely interested in the products and services you offer. In this case, your remarketing ads remind previous site visitors about you, so they’re more likely to return to your website and convert. This is probably the most effective retargeting tactic available if you’re already driving a significant amount of website traffic through other forms of marketing. You can use remarketing technology to serve ads to consumers based on what they’re searching for on a search engine like Google. This means you can expand your remarketing ad’s reach beyond your site visitors to reach those who have shown an interest in your products and services by explicitly searching for them. With search retargeting, you capture searchers who have high purchase intent, but who may not have seen or clicked on your search ad. Continuing to reach these prospects when they’re not actively searching is an effective way to put your business in front of them when they’re still in the consideration phase of their buying journey, helping you grow awareness of your business and bring new, interested traffic to your website. Just like website remarketing, you can employ remarketing programs that target a custom list of people you already know are interested in your business, such as anyone who signed up for an email newsletter or digital coupon. This type of targeting can be used to reach existing customers to drive loyalty and repeat business, or to build awareness with prospects who may have been interested in your business at one time but never followed through with a purchase. Custom lists pinpoint specific users, ensuring your ads are reaching people you know have an interest in your business. You can employ lookalike audience retargeting technology in order to expand your audience. Lookalike capabilities target new prospects who aren’t actively visiting your website or showing interest in your business. However, technologies employed by advertising networks like Google and Facebook use their data to identify new audiences online that have similarities to your site visitors or customer lists, using factors such as their location, age and gender demographics, and interests. This is a great way to create interest with people who are not already familiar with your business, especially if your ads aren’t reaching enough people through traditional remarketing methods. If you’re trying to reach people based on their proximity to your physical location rather by than their online activity or characteristics, you can leverage geofencing. This advertising tactic reaches prospects whenever they are near your business and viewing app-based content. Geofencing is useful for retail or service-based businesses that rely on foot traffic and timely offers and deals to generate new customers. For geofence targeting, it’s imperative to use mobile-based ads to reach users while they are using their smartphones. Of course, a general remarketing campaign will show your ads to users as they visit a variety of desktop and mobile sites within an ad network. But, there are some specific sites and types of ad units you can employ to ensure your ads reach consumers where they are spending the most time. Increasingly, your advertising needs to exist beyond websites to mobile apps, where consumers are spending more than one-third of their online time. So by using display advertising units designed specifically for mobile apps, you can stand out when people are engaging with apps on their smartphones and drive an action like a visit to your website or physical location. Instead of showing ads to users wherever they may travel online, you can opt to show ads on relevant websites or near content that are topically related to your business or ad. For example, if you own a pet store, you can choose to show your ads on animal, family, or lifestyle sites or placed near content relevant to your products and services to help draw the connection for the user between their area of interest and your ad. Using a Facebook-specific remarketing campaign allows you to reach previous website visitors when they’re using Facebook. With over a billion people using Facebook daily, chances are high that your website visitors are also active Facebook users, so it makes sense to market to them on Facebook specifically. Like traditional remarketing, Facebook remarketing enables you to target previous website visitors, lookalike audiences, and custom audience lists to reach relevant consumers as they’re viewing the Facebook News Feed on desktop, mobile site, and app. If you have an audience on Pinterest, you can retarget your site visitors with Promoted Pins when they visit the Pinterest site or app. Just like on Facebook, Pinterest enables you to target customer lists and lookalike audiences in addition to previous site visitors in order to reach the most interested users. 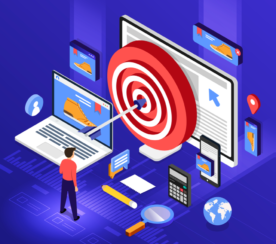 Now that we’ve covered who and where to target your remarketing campaign, here are a few tips for improving the results of all your marketing efforts. For many types of retargeting ads, especially those being shown on Facebook or mobile apps, it’s important to employ a compelling message and call to action. 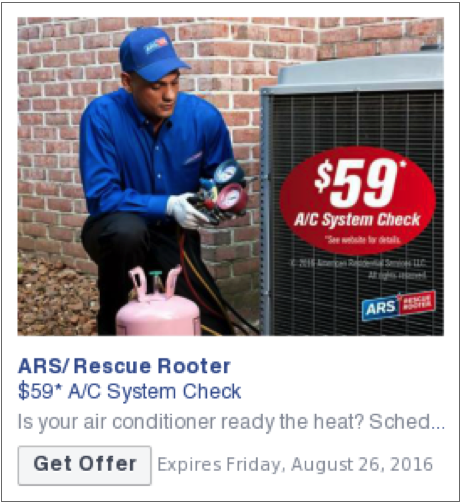 For many users, they may be more likely to engage with an ad that contains a special deal they can redeem by clicking on your ad. Engaging ads and offers can result in higher clicks and site conversions from your campaign. Because people may see your ad in multiple places across the web, or even visit your website multiple times over the course of their purchase path, keeping them engaged is a challenge. Using multiple ad units and formats and changing your ad creative frequently keeps your remarketing campaign from going stale and losing the interest of highly targeted consumers. Swap out imagery, messages, and special offers regularly so your ad will look brand new to any user, even if they’ve already encountered your ads more than once. You can use conversion pixels, conversion zones, or website tracking technology to get a better understanding of the results and leads your remarketing is really getting you. Facebook Pixel: This tracking technology employed by Facebook enables you to set up retargeting, build custom audiences, optimize campaigns, and measure Facebook conversions on your website. Conversion Zone: Conversion Zones are used along with geofencing to track physical traffic from your ads to your specified location. Website Tracking Technology: Similar to a conversion pixel, website tracking technology is a piece of code that allows you to track website traffic and conversions and attribute the activity back to the originating source, so you can see how effectively your remarketing is getting you conversions and how all your marketing is doing as a whole. Remarketing is one effective way to boost your advertising ROI and cost-effectively reach interested consumers across the web. But it is important to employ a remarketing campaign as a complementary marketing tactic and understand the results of all your efforts combined. Remarketing campaigns work because they build upon advertising that originally led a user to discover your business or visit your website and can result in an overall lift in awareness, visits, conversions, and leads for your business. In-post Images: Screenshots by Tamara Weintraub. Taken December 2016.